The venue for this conference will be the lecture room of the Center of Quantum Optics (Sala Audytoryjna COK) of the Faculty of Physics, Astronomy and Informatics in Toruń (http://www.fizyka.umk.pl/wfaiis_en/) within a walking distance of the B&B hotel (see map). 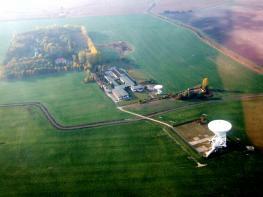 The excursion to the observatory at Piwnice (12 km from the city centre) is planned on 10th September after lunch. The special programme includes a lecture about researches taken at the radio observatory using the 32 m dish , a tour of the Centre of Astronomy and a barbecue till late evening.